Yes, it's that time of the year again: Easter! That means, dozens of eggs, chocolate eggs and even more eggs! For only €3, we will present you an exclusive lunch buffet on Tuesday the 16th of April from 12:00-14:00. Additionally there will be an Easter Egg hunt in and around our beloved UCG building! 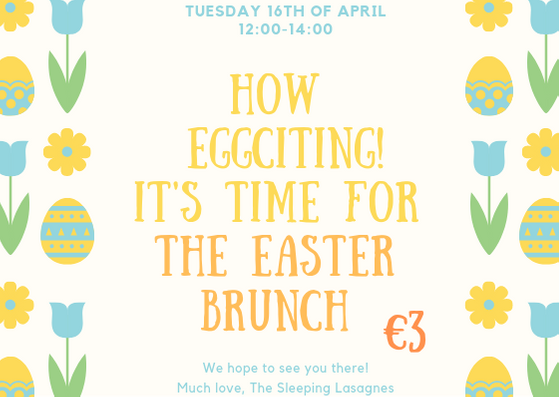 And as a tradition we will of course all show up in our onesies, 'cause what is more Easter-brunch than having breakfast (at lunch time) in your onesie? Please note that (cash) payment must be made once the participant is signed up for the event, even if the participant does not attend the event.